The Shimmery Smokey Eye Tutorial given below is Basically done with Shadow Effect Trio Multi Effect Natural Una. 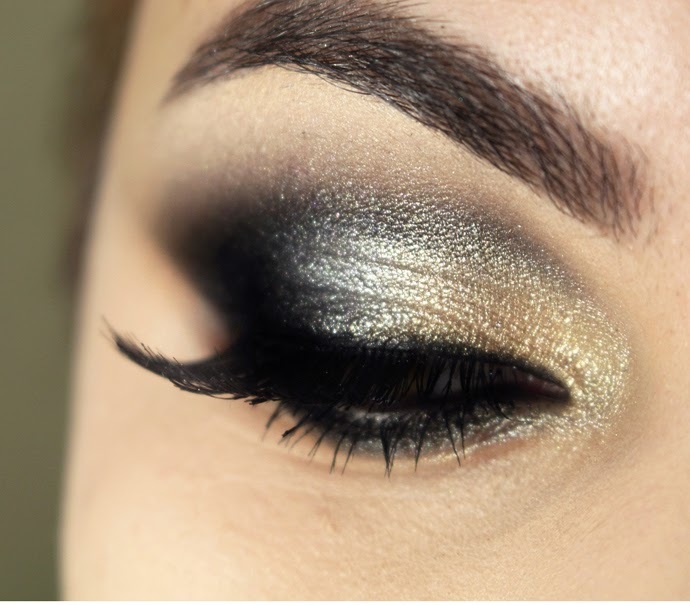 Initally concentrate the outer areas of the eye and cover the dark spots using concealer and give it an even look with CC Light cream or you could just use CC cream alone. Start with the golden shade in the trio. 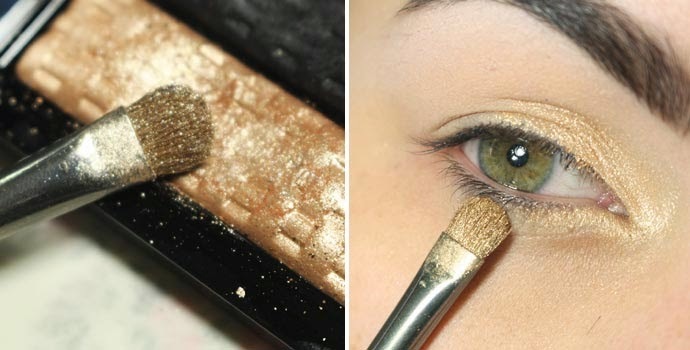 Moisturize the brush(ECO 12)and Start applying the golden shade from the inner corner till the middle on top and bottom sides of the eye. 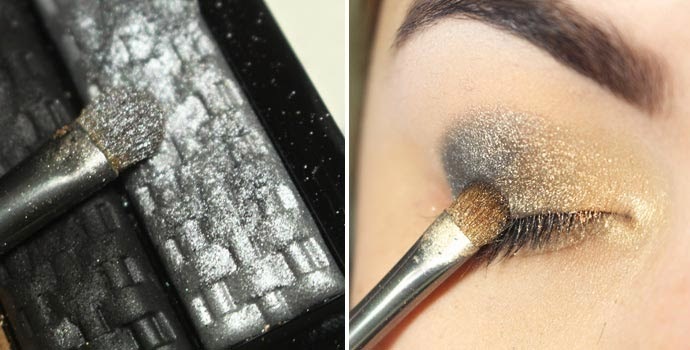 Next apply the silver shade from trio on the other half of the eye lid and blend it well the golden shadow. 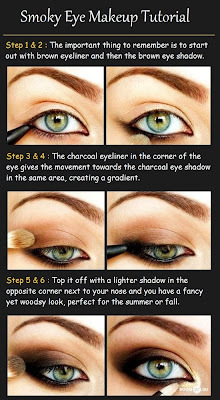 Use the eyeliner to draw along the eye edges on upper and lower eyeline. 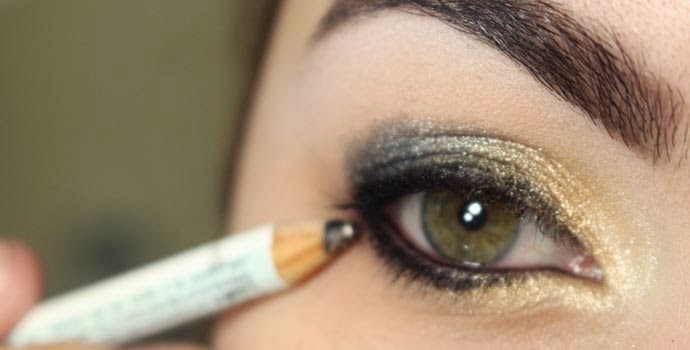 Now Apply the black shade from the trio over the eyeline and blend it smoothly with the golden and silver shades on upper and lower eyelines. 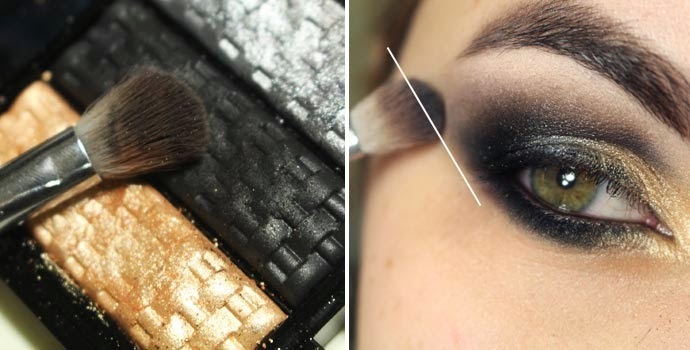 Using the same brush and shade now darken you eye crease. Now using dry fluffy brush(217) slightly extend the black shade on the upper eyelid to its neighbouring regions in a a very unseen manner.Make sure its as light as possible and it turns the blackish regions at the edge to greyish tone. 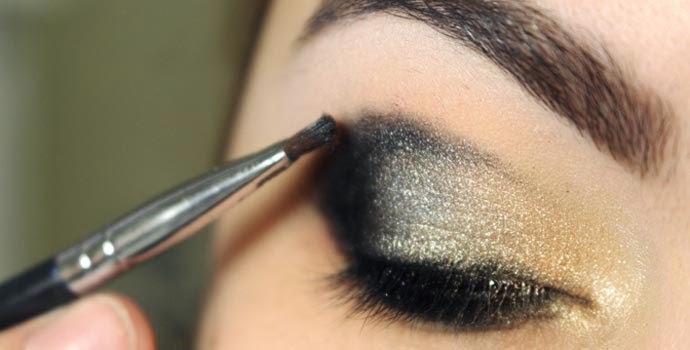 Moisten E65 and using it apply some more black shade on the crease for more darker look. 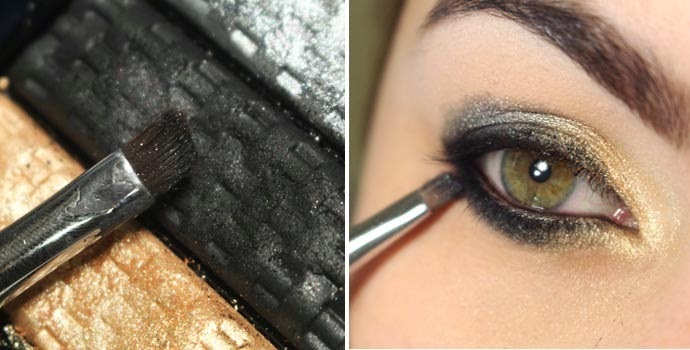 Finally you can apply false eyelashes to make the eye makeup look prominent and stunning. 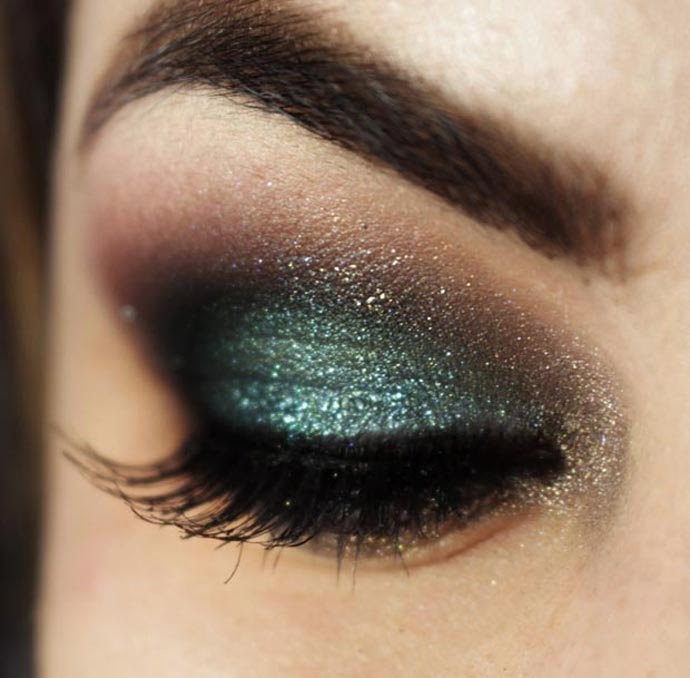 You Can try various shades of the Trio to get varieties of Shimmering Smokey Eye.